Jamaica announced last week that it would provide up to $4 million in the form of goods and services to Venezuela. "You could say that it's goods and services for oil," Dr. Wesley Hughes, CEO of the Jamaican government's PetroCaribe Development Fund, told CNNMoney on Tuesday. "It's going to be up to Venezuela to decide what they need." This form of payment is part of a trade pact between the two nations. 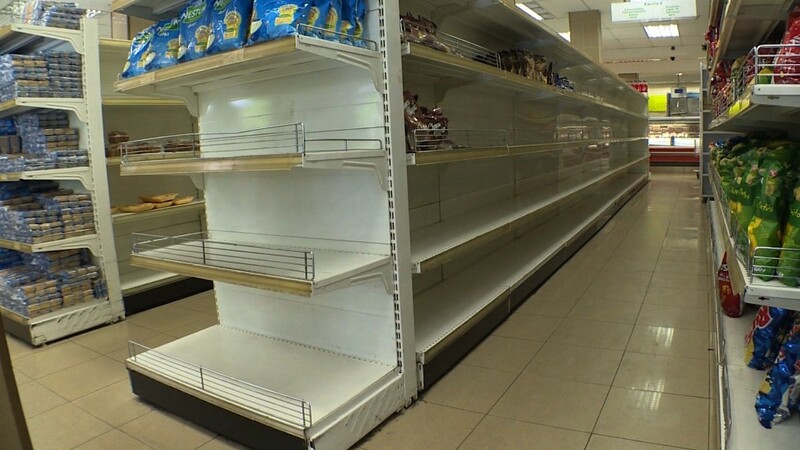 Venezuela is desperately short on food and medicine. People wait hours outside supermarkets to buy basic goods like milk, eggs and flour, often only to find empty shelves. Others are dying in ill-equipped hospitals. Despite the chronic shortages, the Venezuelan government has refused the help of international humanitarian groups like United Nations and Amnesty International. "For them, accepting the humanitarian assistance is in some way recognizing that the crisis is being created by the government," Erika Guevara Rosas, Americas director at Amnesty International, told CNNMoney's Maggie Lake on Monday. Yet, it is accepting goods as a form of payment from Jamaica, a country that is recovering from its own economic downturn, which required a bailout from the IMF as recently as 2013. "They're probably shipping rice and beans to pay off," the oil shipments, says Russ Dallen, managing partner at Caracas Capital, an investing firm based in Miami. "Jamaica can't really pay them the money so they'll send Venezuela food." Hughes said Venezuela has not yet said what specific goods they want but confirmed that they're available immediately and would be equivalent to $4 million. It's not the first time Venezuela has done non-cash transactions. China has loaned Venezuela $65 billion since 2007, according to the Inter-American Dialogue, a Washington think tank. Some of those loans are being repaid to China in oil. Venezuela's state-run oil company, PDVSA, sent about 579,000 barrels of oil a day to China on average last year, according to its audited financial statement. Venezuela has one of the world's largest proven reserves of oil -- likely its only available currency at a time when its foreign exchange reserves are running very low. Last year, Bloomberg reported that the Trinidad & Tobago Prime Minister suggested a tissue paper-for-oil trade during a press conference with Venezuela's President Nicolas Maduro. It's unclear if that deal ever went through. The food-for-oil deal with Jamaica comes as Venezuela's food shortages have become extremely severe. In July, Maduro temporarily reopened the border between Colombia and Venezuela to allow citizens to cross to the other side to buy basic items. Colombian officials estimated that over 100,000 Venezuelans crossed the border. Some cried at the sight of fully stocked supermarket shelves. Venezuela's economy is the worst in the world, according to IMF projections. Its economy is estimated to contract 10% this year and inflation could skyrocket by 700%. Years of heavy government spending, and the recent decline of oil prices, have left the government without enough cash to import basic foods. To tackle food shortages, Venezuela recently issued a decree that would force citizens to work on farms for 60-day periods and perhaps longer "if circumstances merit," the decree said. Amnesty International said the decree "amounts to forced labor."